Samsung has been releasing rugged, Active versions of its flagship smartphones since 2013, and we're now confident that the company is planning to launch an Active handset this year, too. Said handset is called Galaxy S8 Active, and it's been discovered that one of Samsung's official websites is already mentioning it. For now, Samsung is only revealing the phone's name and model number (G892A), plus the fact that the device is running Android Nougat. There's also a list of apps that will be available on the new handset - among these, there are some AT&T-specific apps, which isn't surprising, as the S8 Active is expected to be sold by AT&T in the US (just like all the older Galaxy Active models). According to an image revealed last month - seen on the left - the Samsung Galaxy S8 Active looks more like an LG G6 than a Galaxy S8. That's because its screen has rounded corners, but it's not a curved display - which makes sense, as we're talking about a device that needs to be able to take a beating from time to time without being damaged. Speaking of that, similar to its predecessors, the S8 Active should be drop-proof from heights of 5 feet (1.5 meters), in addition to being dust- and water-resistant. 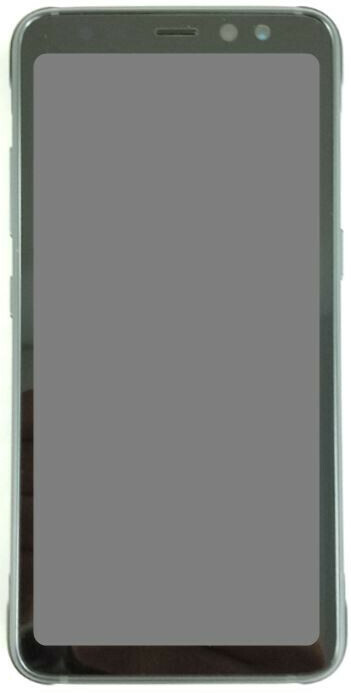 Ruggedness aside, the Galaxy S8 Active likely sports a 5.8-inch display (to match the screen size of the regular S8). Other specs should include a Qualcomm Snapdragon 835 processor, 4 GB of RAM, and a generous battery - possibly a 4000 mAh one. Last year, the Galaxy S7 Active was launched in June, so we're thinking that the S8 Active will be officially announced in the near future - probably as an AT&T-exclusive phone. Do you think you'll be interested in purchasing this not-so-pretty, but tough variant of the Samsung Galaxy S8? I'm glad they make a rugged version. Wish it was available on all carriers. Never mind all carriers, go global. S4 Active was global, before the S series went water resistant. I remember the red S4 Active.